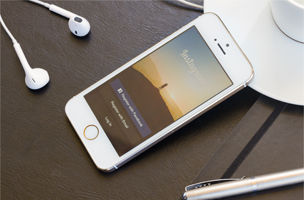 Is Instagram Worth Quitting Your Job For? Some Instagram influencers have quit their full-time jobs to help brands on the platform. Here are some tips from one 'grammer who did just that. Francis Trapp is the CEO of Brandnew IO, the influencer network that connects brands with the world’s most influential users to deliver campaigns on Instagram and Pinterest. Instagram recently announced they now have over 300 million users and that they would soon introduce verified accounts and any people or posts that don’t follow Instagram’s community guidelines. Last month, the “insta-rapture” occurred with some losing as many as one million followers at once. As a result, the purge sparked various debates about the business of buying followers and the overall value of influencer marketing. This debate is nothing new, but it is often centered around influencer marketing as it relates to brands. We rarely hear of the flip side as told from the influencer’s perspective, that is: How do you balance influencer marketing with personal branding and how do you choose the brands to work with? Some influencers have managed to make a living off Instagram, simply by using their influence to promote brands in an authentic way. One prime example is Michael Schulz, a former user experience architect who quit his day job to do freelance influencer marketing, lending a creative hand to brands he believed in. Schulz (@berlinstagram) now works with social native ad platform Brandnew IO to create custom and creative campaigns and leverage his influence of nearly 400,000 followers. He’s worked with Brandnew IO for campaigns including Universal Pictures and Spotify, and his latest undertaking is bolstering Europe’s vibrant hostel market to draw in young, urban target groups for Generator Hostels. Within a month, Michael grew @GENERATORhostels’ account from 1,500 to 4,000 followers, organically. Numbers lie in that they don’t immediately add up to influence. As a member of the Instagram community for more than four years, Schulz dedicated himself to visual campaigns that result in a win-win situation for both the brand and Instagram audience. Many influencers are in a rush to obtain followers by any means necessary, and taking this shortcut won’t get you far with brands who understand the clear difference between audience and influence. Their main goal is to move consumers closer to a point of purchase, so your goal should be focusing on creating quality content and understanding and engaging your audience – then your numbers and your influence will grow. Once you’ve built your followers and influence, brands will come knocking – but it’s important to be careful about which door you choose to answer.